Strange Case of Dr Jekyll and Mr Hyde is the original title of a novella written by the Scottish author Robert Louis Stevenson that was first published in 1886. The work is commonly known today as The Strange Case of Dr. Jekyll and Mr. Hyde, Dr. Jekyll and Mr. Hyde, or simply Jekyll & Hyde. 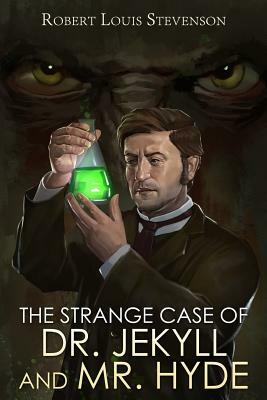 It is about a London lawyer named Gabriel John Utterson who investigates strange occurrences between his old friend, Dr. Henry Jekyll, and the evil Edward Hyde. The work is commonly associated with the rare mental condition often called "split personality," referred to in psychiatry as dissociative identity disorder, where within the same body there exists more than one distinct personality. In this case, there are two personalities within Dr. Jekyll, one apparently good and the other evil. The novella's impact is such that it has become a part of the language, with the very phrase "Jekyll and Hyde" coming to mean a person who is vastly different in moral character from one situation to the next. There have been many audio recordings of the novella, with some of the more famous readers including Tom Baker, Roger Rees, Christopher Lee, Anthony Quayle, Martin Jarvis, Tim Pigott-Smith, John Hurt, Ian Holm and Gene Lockhart. Strange Case of Dr Jekyll and Mr Hyde was an immediate success and is one of Stevenson's best-selling works. Stage adaptations began in Boston and London and soon moved all across England and then towards his home Scotland. The Strange Case of Dr Jekyll and Mr Hyde was initially sold as a paperback for one shilling in the UK and one dollar in the US The American publisher issued the book on 5 January 1886, four days before the first appearance of the UK edition issued by Longmans; Scribner's published 3000 copies, only 1250 of them bound in cloth. Initially stores would not stock it until a review appeared in The Times, on 25 January 1886, giving it a favourable reception. Within the next six months, close to forty thousand copies were sold. The book's success was probably due more to the "moral instincts of the public" than any perception of its artistic merits; it was widely read by those who never otherwise read fiction, quoted in pulpit sermons and in religious papers. By 1901 it was estimated to have sold over 250,000 copies. There have been numerous adaptations of the novella including over 120 stage and film versions alone. A literary celebrity during his lifetime, Stevenson now ranks among the 26 most translated authors in the world. His works have been admired by many other writers, including Jorge Luis Borges, Bertolt Brecht, Marcel Proust, Arthur Conan Doyle, Henry James, Cesare Pavese, Ernest Hemingway, Rudyard Kipling, Jack London, Vladimir Nabokov, J. M. Barrie, and G. K. Chesterton, who said of him that he "seemed to pick the right word up on the point of his pen, like a man playing spillikins."